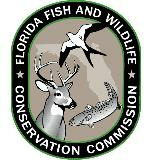 The Florida Fish and Wildlife Conservation Commission FWC) is responsible for conserving and managing fish and wildlife, and their habitats. We meet this responsibility with a combination of research, management, recreational opportunities, outreach and law enforcement. This includes conservation programs for imperiled species; land acquisition to provide habitat for a diversity of wildlife species; managing terrestrial, marine, estuarine and freshwater habitats to benefit the widest possible array of fish and wildlife while providing quality recreational experiences such as hunting, fishing and wildlife viewing. FWC scientists conduct research on habitats, freshwater and marine fisheries, harvested and imperiled species and other important plant and wildlife communities in Florida. The Fish and Wildlife Research Institute integrates its research activities with the management initiatives of other FWC divisions and its research data are used by federal, state and local governments, as well as a variety of other partners, stakeholders and the public. FWC manages Florida’s fish and wildlife resources based on the latest scientific data describing the state’s ecosystems and the wide diversity of species in those ecosystems. FWC protects and manages more than 570 species of wildlife, more than 200 native species of freshwater fish and more than 500 native species of saltwater fish. Florida's Wildlife Legacy Initiative is one FWC program dedicated to serving the agency's long-term commitment to conserve all native wildlife and the places where they live. FWC is responsible for managing one of the nation’s largest systems of state-managed wildlife lands. Florida's Wildlife Management Area program includes 5.8 million acres of land (FWC is the lead manager on 1.4 million acres and co-manages another 4.4 million). FWC’s expansive system of wildlife and fish management areas offer opportunities for visitors to be immersed in and explore the natural world experiencing a solitude increasingly uncommon in this rapidly urbanizing state. A variety of sustainable recreation opportunities appeal to a wide diversity of hunters, anglers and wildlife viewers. FWC law enforcement officers have full police powers and statewide jurisdiction. They provide protection to residents and visitors who enjoy Florida’s natural resources, while enforcing resource protection and boating safety laws in the woods and on the waters of the state. We cooperate with other law enforcement agencies providing homeland security and FWC officers are among the first on the scene to help when natural disasters occur, because of our specialized equipment to access remote, hard-to-reach locations. FWC consists of 1,946 full-time equivalent employees, including more than 500 scientists, more than 700 sworn law enforcement officers and more than 900 other personnel services employees. All personnel work together to protect and manage Florida’s fish and wildlife. The FWC works to balance the needs of fish and wildlife species and the habitats that support them with the needs of the more than 18 million residents and millions of visitors to Florida each year. Florida's Wildlife Legacy Initiative is a comprehensive program developed by the Florida Fish and Wildlife Conservation Commission to address the conservation needs of all wildlife in Florida.